A handyman’s skill set can be defined by the specific tasks that he or she can perform. The experts at RMK Services understand that each handyman job is different and requires not only experience but also the expertise to get the job done right. The first rule of hiring a professional handyman is to have a clear idea of the type of jobs or projects you want completed. The second is to make a concise list of the home repairs that you require along with your expectations so you can clearly communicate what you expect your handyman to achieve in each area of your home. Next, request references and take the time to check them out. Ask about experience and capability along with licenses and registration. Every state has a different set of requirements, some states require licensing for all contractors, and some states none at all. To determine the licensing in your area, the professionals at RMK Services recommend contacting your local building inspector so you can be properly prepared and informed. 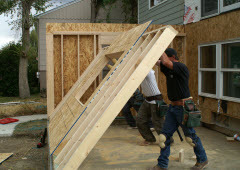 One thing you need to understand is that contractor liability insurance is NOT optional. Even if the job is a small one, a tiny mistake can result in a huge monetary disaster for you as the homeowner. The knowledgeable experts at RMK Services are licensed and insured for your protection. It is certainly not an unreasonable request for you to ask your contractor to provide proof of insurance especially when you allow them into your home. If you are hiring a handyman for a larger size job such as building a deck or renovating a kitchen it is always prudent to ask for credit references. While it is true that many reputable companies run a cash only business, it is also true that a professional renovation company will have established credit and loan histories relating to their prior business needs. Contact your local better business bureau or your local chamber of commerce to check for any complaints about the company you are thinking about hiring. The professionals at RMK Services have repaired mistakes for homeowners made by other contractors. While it is fair to say that many complaints filed by consumers are misunderstandings and include things such as a change in plans midway through the job resulting in an increase in cost or a change in the location of an item that has already been installed. Take the time to ask questions and find out additional information so you can make an informed decision. The experts at RMK Services provide a wide array of handyman services to help you make the most of repairs and projects in and around your home. Contact us today and speak with a customer service representative about scheduling your obligation free consultation and price quote. When the set up of your home is no longer working for you, and you think you may need to move, don’t. Call us to make the home you have, the home you want! Rarely does yesterday’s kitchen satisfy today’s needs, let alone tomorrow’s demands. 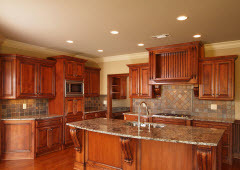 With your vision and our expertise, we’ll create the kitchen that’s right for you! 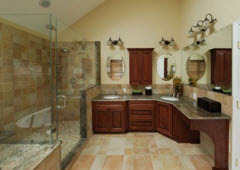 While the basic balance of hygiene and style applies to all bathrooms, the ideal space is as unique as you. Whatever your vision we will help you achieve the perfect solution. 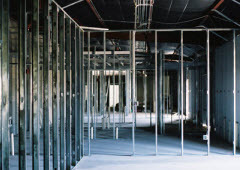 By understanding the unique needs and goals of brick and mortar investments, we deliver the best built solutions, from office and retail tenant improvements to other build outs.